Just in the off chance you have some basic black in your wardrobe, this stunning three piece ensemble, composed in striking color combination of rose gold, sparkling white diamonds and jet black enamel, may just do the trick. The hinged bangle, ring and bar brooch all share the same design, with a central old mine-cut diamond sparkling between florets of rose-cut diamonds. 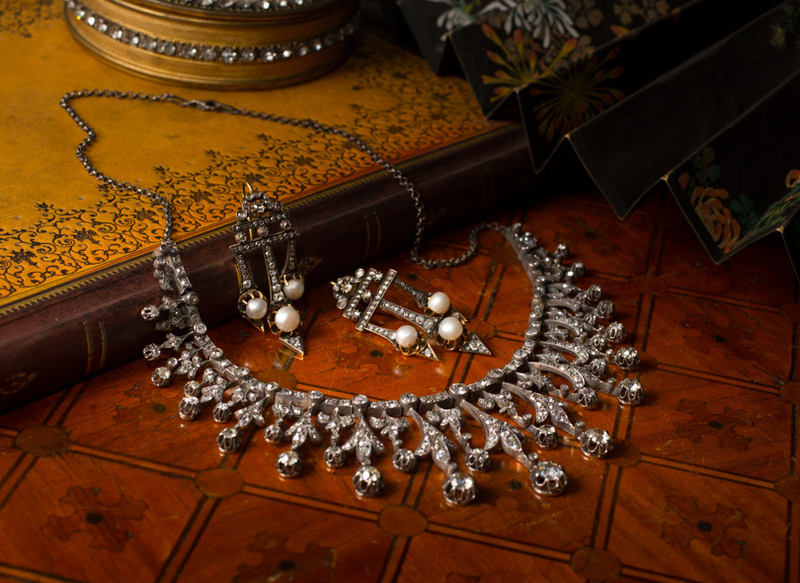 A truly rare and ravishing Victorian-era suite of jewels, circa 1875. The ring is size 5 1/2 and due to the enamel, cannot be resized.